What goes into your cocktail goes beyond gin and juice. 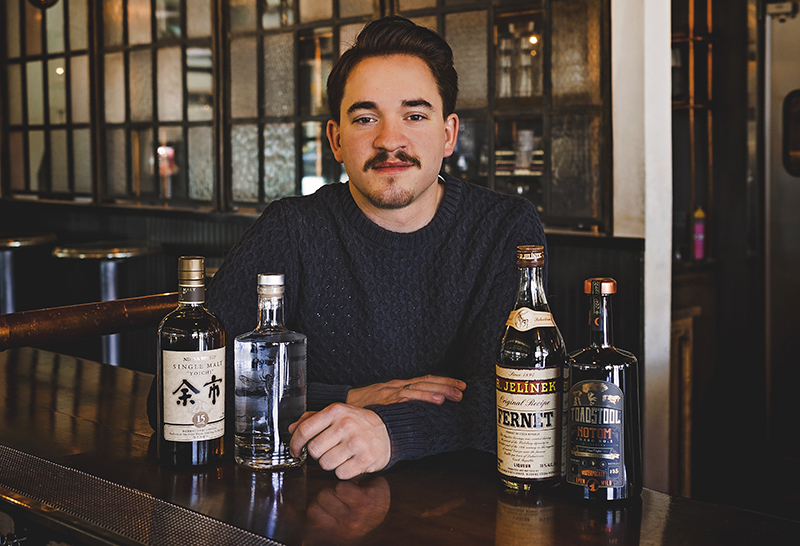 Here in Salt Lake City, we’ve been given an opportunity to explore this craft lifestyle in the form of locally owned bars bent on bringing our community the luxury of the liquor spreading out from the cultural capitals of the world. In the booming and only somewhat metaphorical oasis that is this city, there’s something everyone can agree on: When at the watering hole, it’s time to drink! It may not be Prague, but if you walk into any of these bars—Copper Common, Lake Effect, Water Witch and White Horse—and forget that fact, you’d be forgiven. The world may never have the definitive answer to what constitutes the difference between a great bar and something mentioned only in passing, but if I had to point one out for reference, Copper Common would be on that list. Want a four-dollar shot of Jelinek Fernet? Covered. These guys carry this bartender’s choice with brands stretching from the familiar Fernet Branca to Luxardo’s own take. Itching for some over-proof rum you couldn’t buy at the liquor store even if it wasn’t closed on your only day off? Copper Common’s shelves hold bottles ranging from Plantation to El Dorado to Neisson—silver rums, Jamaican rums, Demerara and more. Let’s be real for a second, though. Not everyone’s liver has the same level of experience as some of the other patrons of the industry. For those staring at the menu with a sidelong, reticent glance considering sticking to what’s familiar, never fear. Sidle into a booth with a friend or settle up cozily against the bar and start with the core of humanity’s communion: food. Copper Common can be considered as mere bar food in the same way that Björk can be considered merely a musician. It’s not that that’s inaccurate—it’s just that it’s not really giving justice to the full scope of the endeavor. “Burgers and fries” just doesn’t quite capture the actual experience of this New American kitchen. If it hasn’t been caressed by both molar and tongue, it hasn’t been fully understood. But I’d recommend getting more adventurous with this place before long. The nature of a bar shelf this extensive combined with a crew that is looking to stay open (without breaking their customers’ wallets wider open) still means that this is a location practically designed to give you a unique experience with the liqueurs of the world. 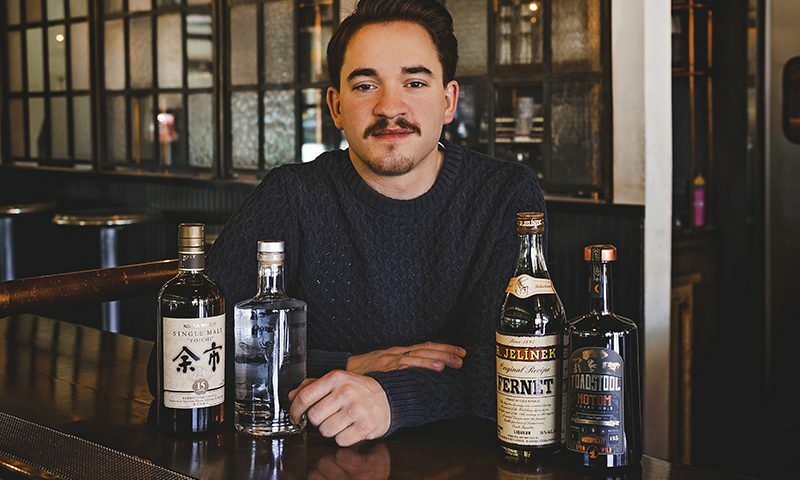 If the thought of what the rest of the local bars that span the world might be serving has ever piqued an interest but you haven’t wanted to buy entire bottles of absinthe or brandy without seeing if they’re worth it, talk to one of the more-than-informed bartenders about what it is you may be looking for. They’ll navigate you through the flavors of the world, all for a price that keeps you firmly in your seat.